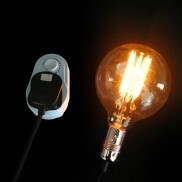 Handy lighting accessories including socket converters, dimmer switches and vintage braided cords. 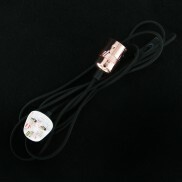 Pay attention to even the smallest details and compliment your vintage industrial lighting with an elegant black fabric lighting cable to elevate your style! 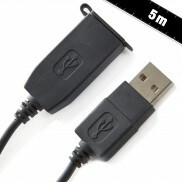 Give more flexibility to your USB powered lights with a 5m USB extension cable. 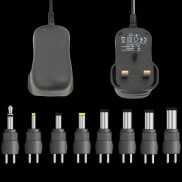 Practical and energy efficient, this switch-mode power adaptor comes with eight different sized power jacks for variable output. 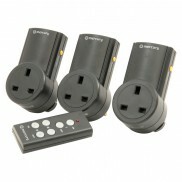 Enjoy the freedom and flexibility of remote controlled appliances with remote controlled mains socket adaptors. 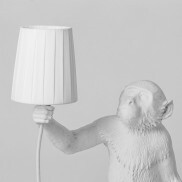 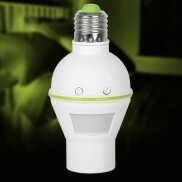 Convert your favourite lamp into a dimmable lamp and change the light intensity depending upon your mood. 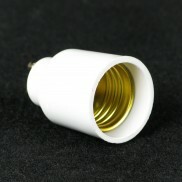 A quick, no fuss way to convert your E27 lamp sockets to GU10 spotlight fittings with no need to rewire. 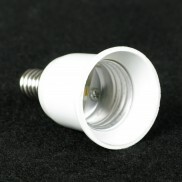 Swap standard bayonet bulbs for funky GU10 spotlights when you convert your fitting with the easy B22 - GU10 lamp socket convertor. 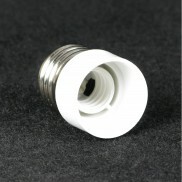 Convert existing GU10 fittings to E27 with one handy little tool. 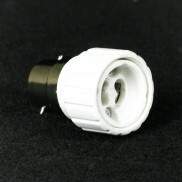 A handy socket converter that makes it easy convert your favourite lamp from an E27 fitting to an E14 fitting. 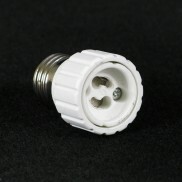 A handy socket converter to convert smaller E14 fittings to take larger E27 bulbs without the need to rewire. 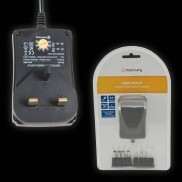 Energy efficient switch-mode power supply gives up to 1000mA at 9 Volts. 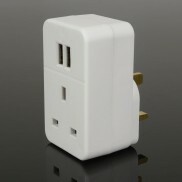 Simultaneously charge up to three devices all at the same time with this handy plug through mains adaptor with dual USB ports. 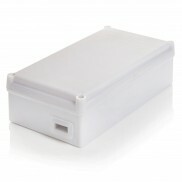 Give your USB powered lighting the flexibility of battery powered lighting and freedom of placement with a USB battery box.